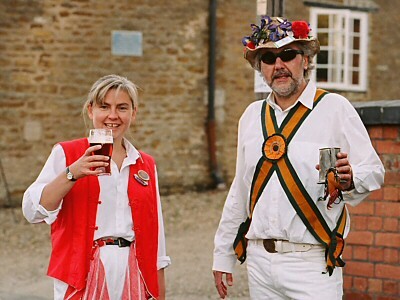 Please note that these pages refer to the 2006 Wymondham May Festival and were hoped to form a record of that event after their initial purpose of publicising it. For information about current, future or more recent events, please visit here. 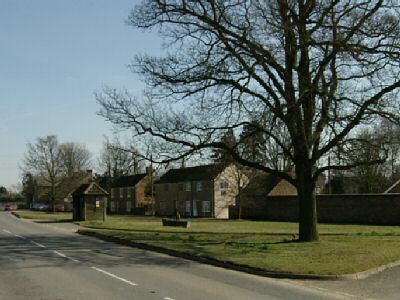 The Festival will be centred on the Village Green (below) but will extend across the village to include the School, Berkeley Arms, Village Hall and Church. The evening will feature a performance by Hank Wangford & Reg Meuross at the Village Hall. Two of the finest and funniest singer/songwriters are bringing Country to the country with their No Hall Too Small tour. Tickets, at £7.00, will inevitably be sold out before the date. You can read more about Hank & Reg at their website. We have an extensive Programme of Events with plenty happening throughout the day; find out how to get here; and, if necessary contact the organisers. Above all, whether it's for a couple of hours or the whole day, come and visit us and have some fun!